When Eric and I dated, I loved how he took care of me and listened to me. And I’m sure he appreciated how I cared and supported him. We intentionally took care of each other’s needs as much as humanly possible while we were dating and engaged because our relationship was important to us. A couple of decades have passed by and we still seek to meet each other’s needs (although imperfectly). But we’ve had to be extremely diligent about doing this because we’re both sinners. I know for me, if I feel hurt by Eric, I’ll naturally want to emotionally withdraw and remain disconnected from him. And push vulnerability and humility out of my heart and encourage pride and apathy to take up residence. In essence, I’m emotionally shutting him out of my life even though I’m a married woman, not a single one. But this path won’t produce the type of marriage I want. And I’m sure no married person would want a marriage like this either. 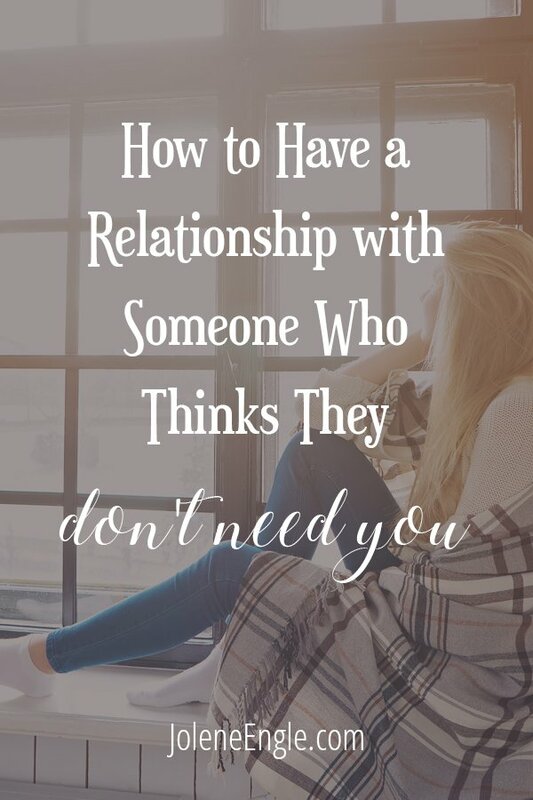 So, what does a person do when their spouse doesn’t feel they need them?